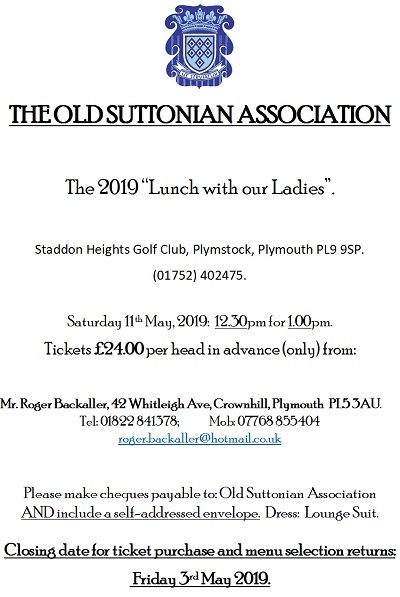 Welcome to the official website for The Old Suttonian Association. A site dedicated to and run on behalf of the alumni and ex-staff of Plymouth's Sutton High School For Boys which closed in 1986. 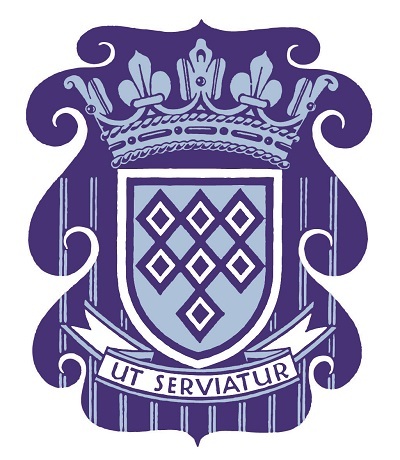 Sutton High School was founded in September 1926; this site was created in July 2012! 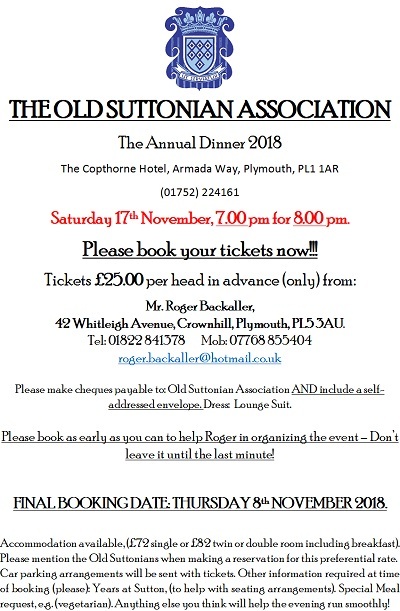 The Old Suttonian Association was formed some time in between. Rowfant Reunion: Saturday ?th May, 2019.